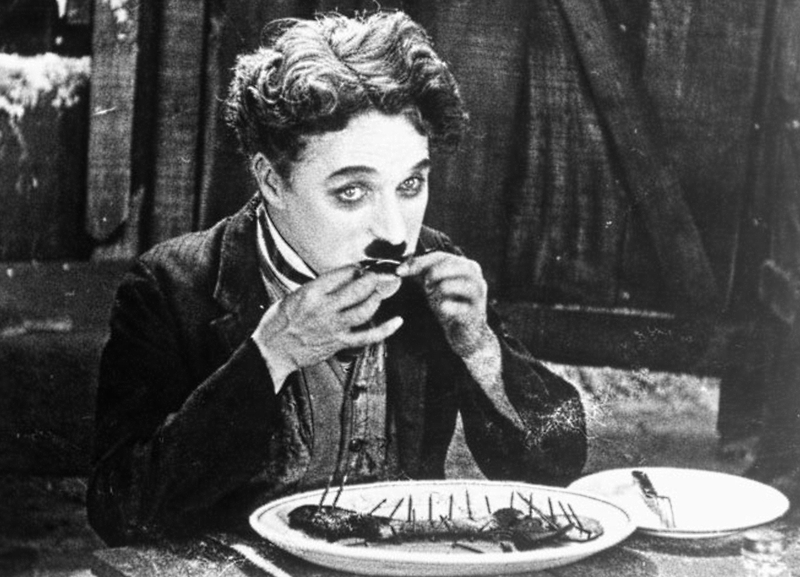 On April 16, 1889, Hollywood legend Charlie Chaplin was born in London, England. Chaplin, one of the most financially successful stars of early Hollywood, was introduced to the stage when he was five. The son of London music hall entertainers, young Chaplin was watching a show starring his mother when her voice cracked. He was quickly shuffled onto the stage to finish the act. Chaplin’s father died when Chaplin was a toddler, and when his mother had a nervous breakdown Chaplin and his older half-brother, Sydney, roamed London, where they danced on the streets and collected pennies in a hat. They eventually went to an orphanage and joined the Eight Lancashire Lads, a children’s dance troupe. When Chaplin was 17, he developed his comedic skills with the help of Fred Karno’s company, for which his half-brother had already become a popular comedian. Soon, Chaplin’s bowler hat, out-turned feet, mustache and walking cane became his trademark. He joined the Keystone company and filmed Making a Living, in which he played a mustachioed villain who wore a monocle. It wasn’t long before he also worked on the other side of the camera, helping direct his 12th film and directing his 13th, Caught in the Rain, on his own. Chaplin refined what would soon become his legacy, the character Charlie the Tramp, and signed on with the Essanay company in 1915 for $1,250 a week, plus a $10,000 bonus--quite a jump from the $175 that Keystone paid him. The next year, he signed with Mutual for $10,000 a week, plus a $150,000 bonus under a contract that required him to make 12 films annually but granted him complete creative control over the pictures. And in 1918, he signed a contract with First National for $1 million for eight films. A masterful silent film actor and pantomimist who could elicit both laughter and tears from his audiences, Chaplin resisted the arrival of sound in movies. Indeed, in his first film that featured sound (City Lights in 1931), he only used music. His first true sound film was 1940’s The Great Dictator, in which he mocked fascism. Chaplin founded United Artists Corporation in 1919 with Mary Pickford, Douglas Fairbanks and director D.W. Griffith. Chaplin married twice more, both times to teenage girls. His fourth wife, Oona O’Neill, who was 18 when she married the 54-year-old actor, was the daughter of playwright Eugene O’Neill. Though he had lived in the United States for 42 years, Chaplin never became a U.S. citizen. A vocal pacifist, Chaplin was accused of communist ties, which he denied. Nevertheless, in 1952, immigration officials prevented Chaplin and his wife from re-entering the United States after a foreign tour. Sir Charles Spencer Chaplin in 1975. He died two years later.